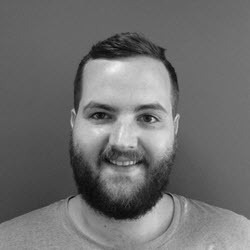 Jack Cooper is the Digital Marketing Manager at Strawberrysoup, an integrated Digital Marketing Agency with offices based in Chichester, Bournemouth and London. Strawberrysoup is a flourishing digital agency with its roots based firmly in website development and design. Having combined traditional design and development expertise with marketing services, Strawberrysoup have created a unique offering of search and content marketing, predominantly driven by great development, UX and creative. Jack enjoys writing about the relationship between new marketing techniques and the creative industries. Naturally, this leads to content including creative-driven SEO and search experience optimisation (SXO) tips and opinions. He is also a contributor for Kogan Page publishing, writes for Search Engine Journal, delivers search marketing training and you can find him regularly networking at search events.